Fifty percent of your day is spent in the workplace, by taking the steps to ensure that your company’s ecological footprint is lighter, you can reap the benefits of a healthier and more productive working environment...pun intended! Have your ecological footprint assessed. Take into account your carbon emissions, energy and water usage and the amount of waste that you are sending to landfill and put systems in place to reduce these. Staff could perhaps commute to work, the company could install water dispensers to reduce the usage of plastic bottles and air conditioners can be checked to see if they are being serviced regularly. Reuse as much paper as possible before throwing it in the recycling bin. Purchase rewritable CDs and DVDs so that you can reuse them from project to project. Use refillable pens and ink cartridges. Buy rechargeable batteries. It takes 1000 regular batteries to equal the lifespan of on rechargeable battery. To encourage easy and convenient recycling at the office, provide appropriately labelled bins. Visual motivation is a proven winner! Recycling bins are becoming more widely available. Encourage staff to select a “green champion” or an “enviroclub” to arrange fun activities and motivate staff. Beach cleanups are an easy way to raise awareness as well as build moral amongst staff members. Bring on board a waste management organisation that can assist with training, supplying the bins, collection, and transport and recycling of your office waste. A good option would be to sign up with The Schools Recycling Project, run by The Waste Trade Company. 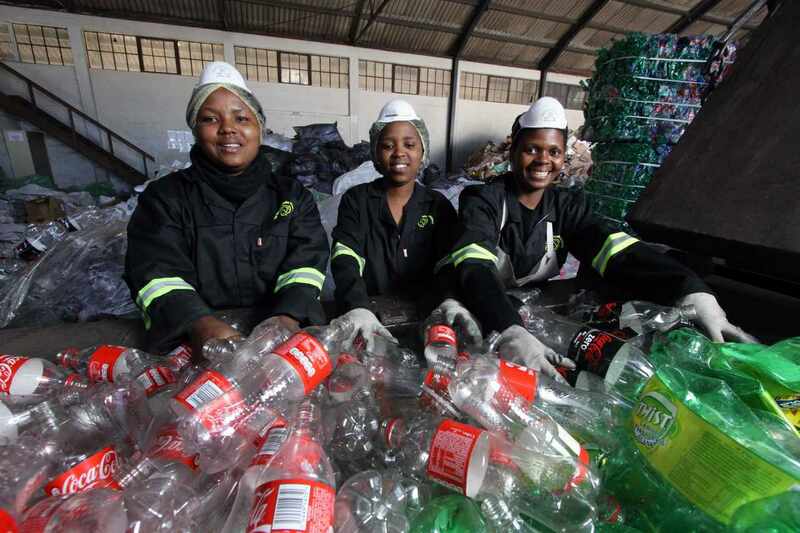 The company then has the option to donate their recycling to a school of their choice and so assist the school in raising well needed funds. Reduce, reuse, and recycle! The first step toward a greener future is education. Ensure that staff are educated, have the resources and are motivated to sustain a greening project at the workplace. Remember, small actions can make a big impact!